ALERT: THE FOLLOWING IS A WARNING TO OUR READERS WHO CARE DEEPLY ABOUT THE ISSUE OF HUMAN TRAFFICKING. 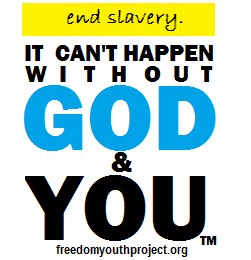 Public awareness of one of the core missions of Freedom Youth Project. We know there are many readers who learn and care about the issue of Human Trafficking from our website and other materials available on the web. As people learn about the issue and develop a shared commitment to this cause, sometimes there can be a false sense of empowerment which can be dangerous. In a nation where most people don’t yet know or understand this issue, those who have become knowledgeable should never mistake that knowledge for authority to personally investigate any alleged trafficking activities you may witness. Unfortunately, we have a tragic example to report on what can happen when civilians attempt to insert themselves in a trafficking situation. "Investigating alleged trafficking activities is and always should be reserved for law enforcement who have training to investigate criminal activities which have proven to have a high degree of danger." If you ever witness activities that could mean that Human Trafficking is occurring it is important to take the following precautions for your own safety. Never do anything to get noticed by someone who you suspect is engaged in Human Trafficking. Do not follow a possible victim or trafficker anywhere. 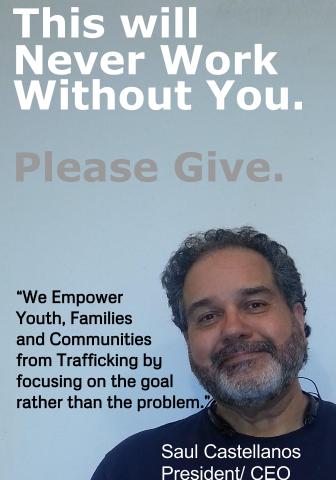 Human Traffickers often do not work alone. Be aware that you may be watching someone, and someone else may be watching you. Never approach or engage someone who you think might be a trafficker. Do not follow anyone you suspect might be engaged in trafficking. Never investigate a trafficking situation on your own. 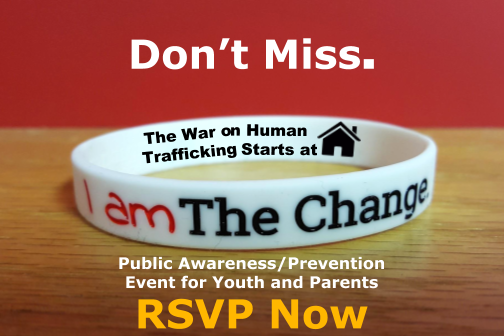 If you suspect trafficking, DO NOT INTERVENE, for the safety of yourself and your family. 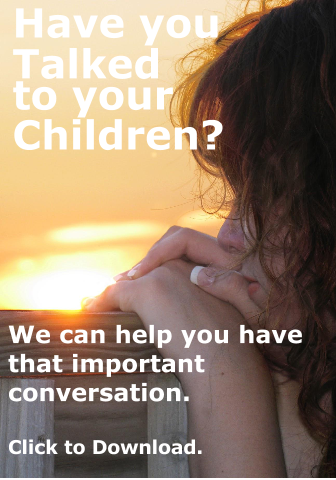 Call 1-888-3737-888 the National Human Trafficking Hotline and report any details to the hotline operator. 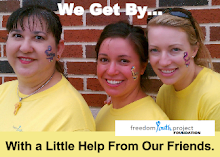 In November 2011, a 35 year old San Antonio man was shot 6 times by a trafficker. He had befriended a homeless teen, whom he believed was being trafficked and attempted to rescue her from her situation. As soon as the trafficker heard his victim might escape, he plotted to kill the man. This good hearted civilian, who only wanted to help the teen girl out of trafficking, was killed by the trafficker in an attempt to intervene and rescue a victim. The best way to honor this good samaritan is to learn from his actions. 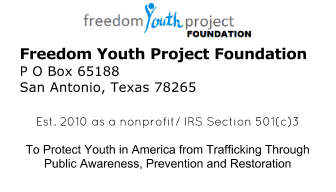 "Freedom Youth Project takes a strong stance against civilians who are not part of any law enforcement agency taking any action that could endanger both themselves or any victim they may attempting to rescue from the hands of a trafficker. There are many things civilians can do which do not add put anyone in potential danger. Please read our Ten Ways You Can Help page."